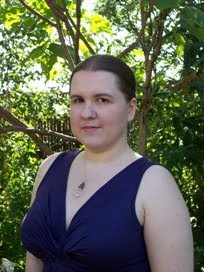 I'm so pleased to introduce you to Jenna Burtenshaw, author of Wintercraft! Wintercraft is your debut novel. How does it feel to be a published author? What's the best part? It feels amazing and a little bit surreal at the same time! I started writing seriously almost ten years ago. Now I have a finished book sitting on my desk and seeing it there always makes me smile. The best part of being published has been getting to meet so many new people. The Headline publishing team are amazing and the people at my agency are lovely. Then there are the fabulous book bloggers and readers I have connected with online! Its a wonderful community and Im very lucky to be part of it. I've never read anything like Wintercraft before, how did you come up with the idea? The idea for the story came together piece by piece over a long time, but certain events and places in the book were inspired by real life. A smaller version of the hording actually happened in my garden a few summers ago when a group of starlings thumped into the windows one by one, and the idea for the City Below came from a school trip where my class was taken on a tour down a drift mine. That experience sent my imagination into overdrive and Ive never forgotten it. Ive always loved the idea of old books passing down ancient knowledge, so the book of Wintercraft itself grew from that. As great discoveries go, a book that carried the secrets of death would be an amazing find. How many books will be in the Wintercraft series? Can you tell us anything about what's next? At the moment there are set to be three books in the series. I love writing about Kates world and Wintercraft really is just the beginning of the story. Kate will discover more about her abilities and how to use them. She will delve deeper into the world of the Skilled and there will be some hard choices for her to face along the way. Edgar and Silas are my favorite characters. I know they are more than meets the eye. Will we learn more about them and where they came from in the next books? There is a lot more to come from the two of them, yes. Silas in particular has many secrets that are yet to be revealed. He is a fantastic character to write about as he is so mysterious and closed off from the world. Im glad he is one of your favourites! Take us through a typical writing day. I have coffee and breakfast, see to my dogs and rabbits then power up the computer at around ten oclock. I spend the morning rereading what work from the day before, replying to emails and dealing with the post. After twelve its time for serious business. I try to aim for 1000-2000 words a day, but sometimes I cut lots more than I write. Once thats done, I answer any interview questions Ive been sent, plan out rough ideas for future books and prepare for events. Throw in some internet browsing, random half-hours of reading and large chunks of staring into space and you have a pretty typical day. That is a very difficult question! The answer changes almost every day. I love books that put a different twist on reality and Ive always had a soft spot for dystopian or post-apocalyptic fiction. 1984 was one of my favourites for a long time. Now I read a lot of YA fiction and love anything with a good adventure. The hardest part (and the one that took the most time) was finding an agent. I wrote three books before Wintercraft and collected a lot of rejection letters. Then in 2006 I decided to set those early books aside and try something new. Wintercraft is a lot darker than anything I had written before. I signed with my agency at the beginning of April 2009, had meetings with publishers at the end of May and the book went to auction in June. Now, ten months later, it is out in the world for everyone to see! Any advice you would give to aspiring authors? Read as much as you can. It doesnt matter what it is. If a book jumps out at you from a shelf, read it. And while youre writing, dont be afraid to get things wrong. Your work will probably be terrible in the beginning but you have to keep going and experiment to find your own style. If it feels right, do it. Getting published is not impossible. And above all, dont give up! What is your favorite sweet/salty snack? For a sweet snack it has to be homemade oat and cranberry biscuits. And for something savoury... pickled onion crisps. If you weren't a writer what would you be? I think Id probably be an English teacher, trying to introduce teenagers to great books and getting them all swashbuckling around to Shakespeare! Is there anything you would like to say to The Sweet Bookshelf readers? Dont let anyone tell you that you cant achieve something. No matter what you want to do or how long it takes, just believe in yourself and go for it. Do what makes you happy and you cant go wrong. Thanks for stopping by The Sweet Bookshelf Jenna! Happy Release Day tomorrow! Have just discovered this site and now a new author. 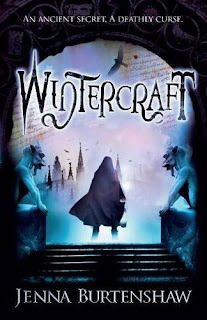 WINTERCRAFT looks like an interesting book and concept. Checked out the website and will have to look into it more. I was a children's librarian until recently and have been pleasantly surprised at the number of quality books coming out in the J and YA fields. It is the place to go for a good book. I am still involved with the local libraries and have 3 grandsons, so I'm not far from my first love - readings. Best of luck with the release of this book. I wish you all the best in your writing career.